We are the San Fernando Plumbers and we can help you with your drain clog problems. A clogged drain can ruin our day, since we depend a lot in our sewer systems in our daily lives. It doesn’t matter what kind of clog it is (hair clogs, grease clogs, root clogs), they all cause disruptions, and when all the home remedies have failed ( plungers, drain cleaning liquid) you can count on The San Fernando Plumbers; The Rooter Drain Expert. Did you know that roots can grow more than 2,500 feet underground? So even if you don’t have a tree in your back yard you can still have roots problems in your sewer line from neighboring trees. 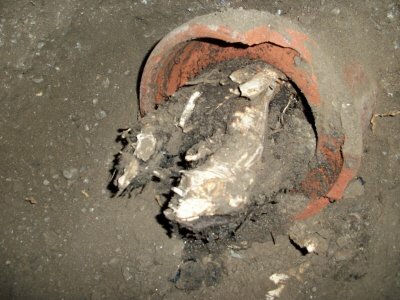 Old clay pipes and iron pipes are more likely to have roots problems given that clay pipes crack during earthquakes and they also have joint points every 3-6 feet giving roots enough access to intrude the pipe. Iron pipes because of their vulnerability to oxidation, they often oxidize until orifices large enough form for roots to intrude. For many years we have offer San Fernando with drain cleaning services and other plumbing services. We are The Local San Fernando Plumbers and we know all the regulations and codes that doing plumbing work in San Fernando requires. It is highly recommended that you only hire professional licensed plumbers, please take the time to read “Why hire licensed plumbers?“. To better serve you and for your peace of mind The Rooter Drain Expert is Licensed Insured and bonded, we know all the regulations and codes, we are the local plumbing company you can trust. Beside supporting your local economy instead of the big corporations, you also get personalize customer service and prices with less overhead, given that we are a local business. We want you to be one more of our lucky customers.